Mexican Americans and Health ï¿½Sana! ï¿½Sana! health and well-being, this time with the addition of discussions on:* the new U.S. Human Development Index to contextualize the health, education, and income status of Mexican Americans relative to other population groups,* emerging diseases, such as diabetes and obesity,* recent health-care reforms under the Obama administration,* substance abuse, sexual risk, and psychological distress among HIV-positive individuals in the gay/bisexual community,* and predictions of future trends for the next decade. This new volume has been updated throughout to reflect the many developments in health care since its first edition. 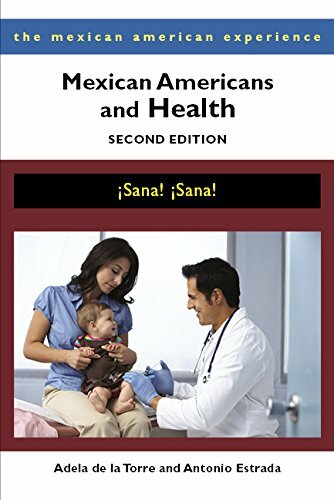 Mexican Americans and Health, 2nd Edition continues to present data on a large number of health issues that are important and relevant to the Mexican American population, while describing the social contexts in which they are occurring. Its comprehensive and interdisciplinary approach brings originality and focus to a dynamic literature. Angie Chabram-Dernersesian and Adela de la Torre are professors of Chicana/o Studies at the University of California at Davis. Professor Chabram-Dernersesian is the editor of The Chicana/o Cultural Studies Forum and The Chicana/o Cultural Studies Reader. Adela de la Torre is also the author of Mexican Americans and Health and Moving from the Margins: A Chicanas Voice on Public Policy, both published by the University of Arizona Press.